We ARE Listening! : Services and Products - Innolect, Inc. | Innolect, Inc.
Innolect’s founder, Kittie Watson, co-created the Watson-Barker Listening Test and developed the unique Listener Preference Profile (LPP) and Communication Preference Profile (CPP) during her tenure as department chair at Tulane University. Innolect consultants have published dozens of books and articles about listening and communication. Among Innolect’s “how-to” guides and training workshops, our proprietary tools are highly validated for assessing how people listen and communicate. Our tools provide practical strategies for individual and team improvement. If you want to determine how effectively you, your team or your organization listens, Innolect can help. For the last 30 years, our consultants have been the industry leaders in developing listening assessments tools and products. Ineffective listening caused a fiery death when a power plant worker was told not to use an elevator because a fire had broken out five stories above. The worker didn’t listen, entered the elevator and was burned to death w hen the elevator shaft exploded. When an airline pilot misinterpreted instructions to detour around an active runway while taxiing at the Los Angeles International Airport, her crew and passengers were killed. The error led to a two-plane runway crash, causing numerous deaths and permanent injuries. The number of deaths due to healthcare mistakes are estimated in the hundreds of thousands, with billions of dollars in economic impact each year. How much is due to physician or nurse listening errors is anyone’s guess, but the patient experience improvement may be enough to pay close attention to this critical capability. Fortunately for all of us, the results of most listening errors are less disastrous than these. Some listening failures only cause embarrassment, such as not remembering the name of a new acquaintance. Other listening errors cause minor inconvenience, such as missing a doctor’s appointment or arriving at a friend’s house for dinner on the wrong night. Whether the errors are life threatening or annoying, ineffective listening damages family relationships, derails business negotiations, and destroys international ventures. Organizations hire leaders to listen. Managers and office workers spend at least 40% of their work time listening. Executives spend up to 80% of their work days listening to assess information, gain new insights and make decisions in meetings. Yet, these same leaders rank themselves as poor or below average as listeners in self-reports and admit to doing little to improve. In 2010, it was estimated that 11 million meetings took place in the United States each day (3 billion a year). Group Vision estimates that Fortune 500 companies waste an estimated $75 million per year in meetings and much of the waste is due to the staggering cost of ineffective listening. When information has to be repeated, the time of all group members is wasted. In a 6-person team, for example, repeating 5 minutes of information wastes 30 minutes of work time. When group members really listen to each other, relationships improve, meetings are more productive, members feel valued, and more people participate. 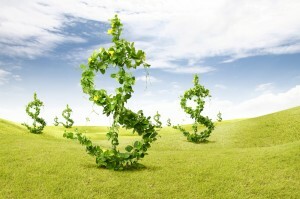 $37 billion is the total estimated cost of misunderstanding (including or errors of omission by employees who have misunderstood or were misinformed about company policies, business processes, job function or a combination of the three in 100,000-employee companies among 400 surveyed corporations in the US and UK (average cost per company $62.4 million per year). $26,042 is the cumulative cost per worker per year due to productivity losses resulting from communication barriers. Companies with more effective communicators had 47% higher total returns to shareholder over the last 5 years compared to companies with less effective communicators. Best Buy found that stores with higher employee engagement scores led to better store performance. For every percentage point it boosted employee engagement, individual stores saw a $100,000 increase in operating income annually. If you’re concerned about how effectively you, your team or your organization listens, you should be! Ineffective listening is a huge cost and may be one of the highest sources of risk you have. SIS International Research (NY) reports that 70% of small to mid-size businesses are losing money due to ineffective listening and communication. They estimate that a business with 100 employees, for example, spends an average downtime of 17 hours a week clarifying communication which translates to an annual cost of over $500,000 each year. Designed and developed by Kittie W. Watson, Ph,D. and Larry L. Barker, Ph.D. Designed and developed by Kittie W. Watson, Ph.D. and Larry L. Barker, Ph.D. Listening preferences are determined by how, where, when, who, and what types of information we like to receive most from others. The way we choose to receive information includes whether or not we find it easier to listen to others on the telephone or face-to-face and how we prefer messages to be organized. Some of us prefer to listen in outline form; others of us like speakers who include interesting stories and examples. Most of us don’t think about changing the way that we listen, yet listening would be more efficient and enjoyable if we did. One difficulty that listeners have is getting in the habit of listening in only one way in every listening situation. Sales representatives, for example, often get so wrapped up in their pitch, that they jump ahead and finish the thoughts of their potential customers. By identifying their listening inclinations in certain settings, sales representatives can begin to make conscious decisions concerning whether or not to let a habitual preference dictate their actual listening behavior. Executives, on the other hand, find it difficult, if not impossible to switch how they listen between work and home. 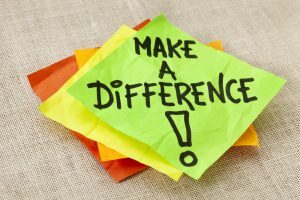 Since many leaders have been reinforced for evaluating and analyzing what others say during the work day, many executives continue critiquing what their spouses, children, and friends have to say…which can be very irritating. One way to begin to understand how to adapt to others is to understand our own listener preferences. Adapt presentations to key leader’s listening preferences. Tailor information to get the attention of direct reports, peers and executives. Get and keep the attention of others during meetings. Make more effective sales pitches. appreciate and value differences in teams and work groups. 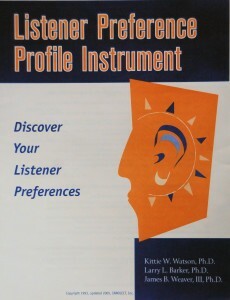 The four listener preferences are people, content, action, and time-oriented listening. People-Oriented. Listeners demonstrate people-oriented preferences when they: show care and concern for others’ feelings, identify the emotional states of others, internalize/adopt emotional states of others, or try to find areas of common interest. Action-Oriented. Listeners demonstrate action-oriented preferences when they: jump ahead and finish thoughts of speakers, get frustrated by unorganized speakers, focus on inconsistencies and errors in messages, or show impatience when speakers ramble. Time-Oriented. Listeners demonstrate time-oriented preferences when they: let others know how much time they have to listen or tell others exactly how long they have to meet. The Listener Preference Profile is a way for you to learn more about your own preferences as well as the preferences of others. For more information and/or to take the Listener Preference Profile, please see our products. While many leaders and managers may have developed advocacy skills — initiating communication, giving direction, and delegating — others have not. In addition, many have not considered the benefits of inquiry skills — comprehending, giving feedback, and listening to others. Most managers are trained to be advocates and are expected to have the “right” answers and to persuade others of their “rightness” (Senge, 1992). In fact, managers are rewarded and valued for their ability to argue and persuade; rewarded to use their advocacy communication skills. This reward system has led many managers to develop an abundance of advocacy communication skills while inquiry communication skills are unnoticed and under developed. The organizations of today where issues are more complex, interdependent, and inconsistent make it difficult for managers to find the “right” answer. Relying only on the communication skill that helped managers succeed in the past — advocacy alone – will not propel leaders to success in the future. In our work with clients around the United States, we noticed many leaders were unsure about how to define advocacy and inquiry skills. To help define the behaviors, we developed the Advocacy/Inquiry Skill Inventory (AISI). This instrument is designed to help participants assess both advocacy and inquiry competencies. Communication behaviors that focus on the ability to argue and persuade are generally referred to as advocacy skills. informs others of his/her wants and/or desires. persuades people to accept ideas. Skills that focus on making others’ thought processes known are inquiry skills. understands the needs of others. moves toward joint problem solving. invites others to share their thoughts, ideas, and/or feelings. In order for leaders within an organization to make the most informed and productive decisions, they need to have the ability to balance advocacy skills with inquiry skills. The first step in being able to balance the use of these skills is to assess people’s habits for using each. AISI gives people the ability to see whether they are more prone to use advocacy or inquiry communication skills. The feedback can assist you in identifying areas in which you excel. Knowing your areas of strength positions you to leverage them. The feedback will focus your developmental efforts on the competencies that have been determined to be critical for your job and considered important for success. It calls attention to opportunities for you to develop your listening skills further. Information about the way your behavior is perceived by others helps you to match the intentions of your behavior with its outcomes. 360-feedback involves the assessment skills of many individuals. The combined judgments are more reliable than any single judgment. 360-feedback provides information that can be used to validate the perceptions we have of ourselves. Use this feedback as another indicator of your strengths and opportunities for development. The feedback is designed to complement and aid your current developmental processes. Listen Up Care Provider Certification We ARE Listening!